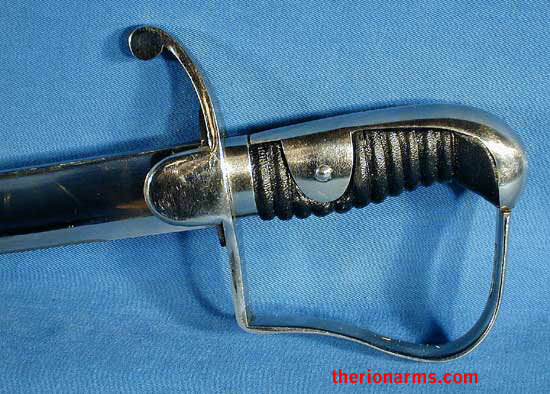 This saber was widely used by the British and their Prussian allies under General Blucher in the Battle of Waterloo. The blade was derived from the ferocious Indian Talwar and was reviled by the French who protested its use due to the horribly destructive wounds it inflicted. In fact, this saber was so successful as a cutting weapon that the German Cavalry continued to use it right up to the beginning of the 20th century! 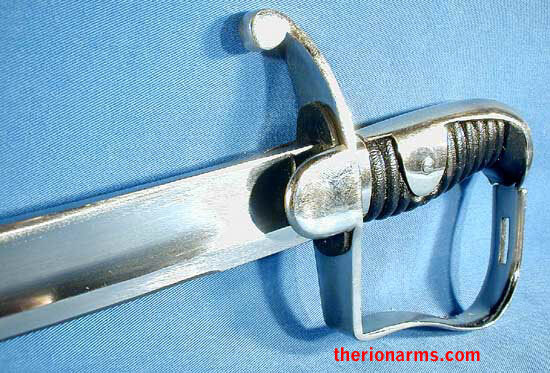 A combat quality saber that will pass the British Proof Test and is fully capable of shearing off arms and even legs with a single blow (no, don't try this at home. Driver is a professional on closed course). Fully sharpened, with leather covered wood scabbard with steel fittings. guard: 5 1/4" x 4 1/4"